IN a bid to appreciate and recognise deserving men and women in the radio industry, concerned stakeholders will soon introduce awards for radio personalities under Kalimba Radio and Television Awards (KARAT). KARAT hopes that the move will inspire people wishing to enter the vibrant and dynamic industry. Winning any of the awards should, therefore be key achievement, something to be added to the individual’s or the station’s pedigree. There will also be separate awards for radio stations such as station of the year, community project and others. Like any other awards giving ceremony, terms and conditions shall apply. Watch this space for more about the forthcoming awards. Here are comments made by one radio listener; “If you have any problem, of any nature, be it political, social or otherwise, just call radio … (name withheld), they accept any comment any time. ”The comments were made in ci-bemba. If it is true, that radio station allows ‘any discussion’ at any time, then, it is unprofessional. There are norms that guide live discussion programmes on radio, primarily to offer community a platform to air their views. Live radio discussion programmes are supposed to be directed at relevant officials for them to get first hand complaints and respond accordingly, and not ‘stray shooting’ as it can be said. How can a radio station open up in the morning to discuss anything callers put forward, and continue with unguided discussions throughout the day? Only when such discussions are well organised and systematic can they attract specific attention and response. It can be said that if a radio station would accept any discussion at any time in a ‘to whom it may concern’, there is a possibility that no one would take responsibility of whatever is raised on air. We have heard organised radio stations begin by advertising specific topics that are then handled by relevant officials to give precise answers. Lorenzo Lihusha has been hosting different personalities to discuss topics of national interest on Radio Christian Voice (RCV)’s chat back programme for some time now. The discussions have so far, been categorical, in a one specific topic at a time, and in turn bringing out satisfactory insight. Chat back has in the recent weeks featured Simataa Simataa who has been explaining banking and financial intricate. 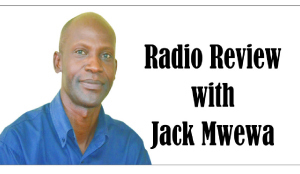 We could have heard a good number of technocrats who have featured on most radio stations to explain various topics, Simataa’s advantage, however, is his ability to explain things in a simplified manner. After a long absence from the late night presentation on RCV, Steven Mdoma was on last Saturday night, we are not sure whether he is back or that was simply a one off come back. Music of the yesteryears make a difference whenever it is played on radio for it breaks monotony of the same genre songs that always play on most radio stations. Most of the old songs that have been played on some radio stations have now become ‘common’, but not the music of Teddy Tandeo Chilambe. Ian Mpundu Mwansa, ‘the Tune Fixer’ played this not so-common Chilambe song, titled ‘Bana Musenge umulomo’ last Monday night, which is a classic tune indeed.